specifically with the involvement of the Vulture Funds. Turns out there is, but you need to demonstrate, amongst other things, a definitive “political will” in order to secure it. (d) the availability of suitable alternative accommodation within a reasonable locale before an Execution Order is granted. 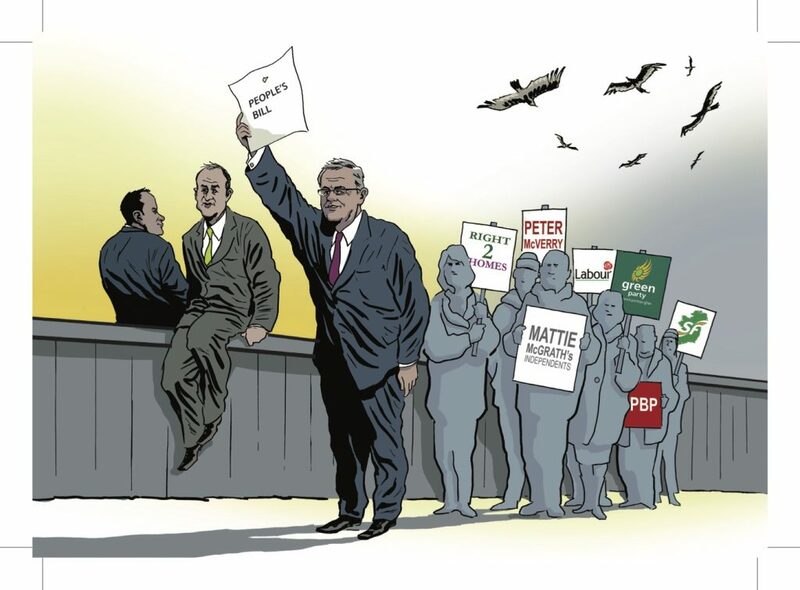 "Time to get off the fence, Micheál"
Potential investors in an alternative platform to Vulture Funds have been identified, structures have been created. 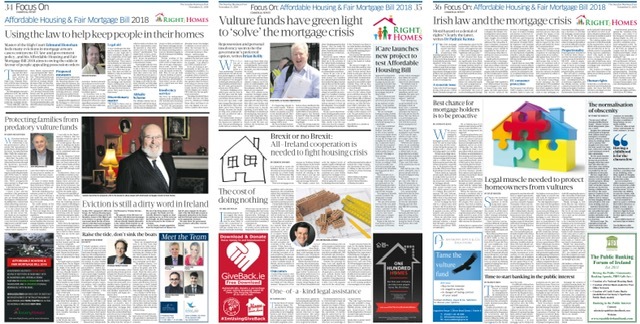 Right2Homes is prepared to facilitate the launch of an all-island ethical fund to purchase tranches of distressed loans from Ireland's banks. The Affordable Housing and Fair Mortgage Bill aims to help challenge evictions unless the borrowers rights have been fully examined and suitable alternative accommodation is arranged before an Execution Order granted. Right2Homes is apolitical. It is not aligned to any particular group or party. However, by 2013 it was clear that government was not driving an adequate response to the emerging housing crisis. We seek to encourage citizens to join us in appealing directly to their TDs and Senators.